Plus Cook Islands for Free! DAY THREE - WELCOME TO QUEENSTOWN! Stay 3 nights in a 3.5 star hotel in downtown Queenstown. Explore Queenstown. The lake and mountain landscape make it suited to all kinds of adventure. There’s skiing in the winter and activities such as bungy jumping, canyon swinging, jet boating, horse trekking and river rafting all year round. Experience one of the many walking & biking trails, sightseeing tours or indulge yourself with spa treatments, boutique shopping and excellent food and wine. Pick up your rental car, an intermediate size, automatic sedan. Stay 2 nights in Rotorua. An amazing geothermal wonderland, Rotorua is also the heartland of New Zealand's Maori culture. Around Rotorua you'll find adventure, caving, blackwater rafting, glowworms and fabulous landscapes. 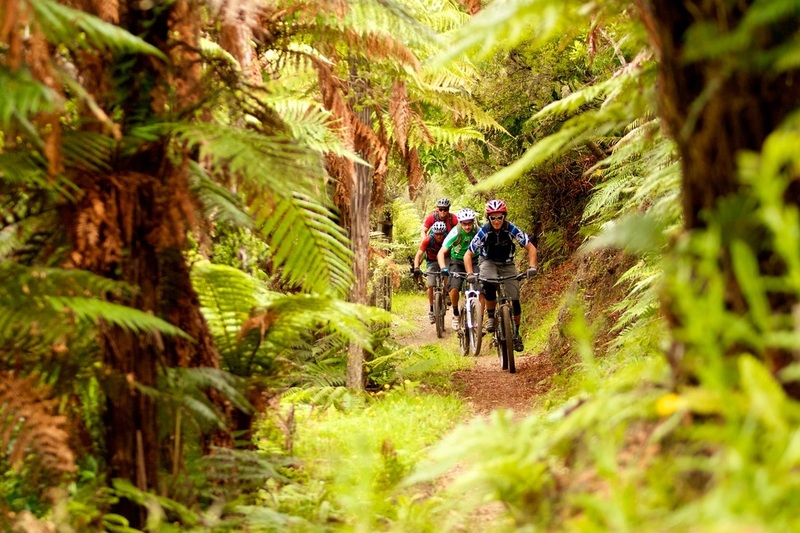 Enjoy nature trails, wildlife parks and walks, charming country towns and genuine Kiwi hospitality. Auckland, the City of Sails, is a sophisticated city built around the vibrant Auckland Harbour. Enjoy the warm, temperate climate and outdoor lifestyle. Stay 1 night downtown in a 3.5 star studio apartment hotel.